Even if your college student does not like football, chances are they will find themselves either hosting or attending a party for the Big Game! 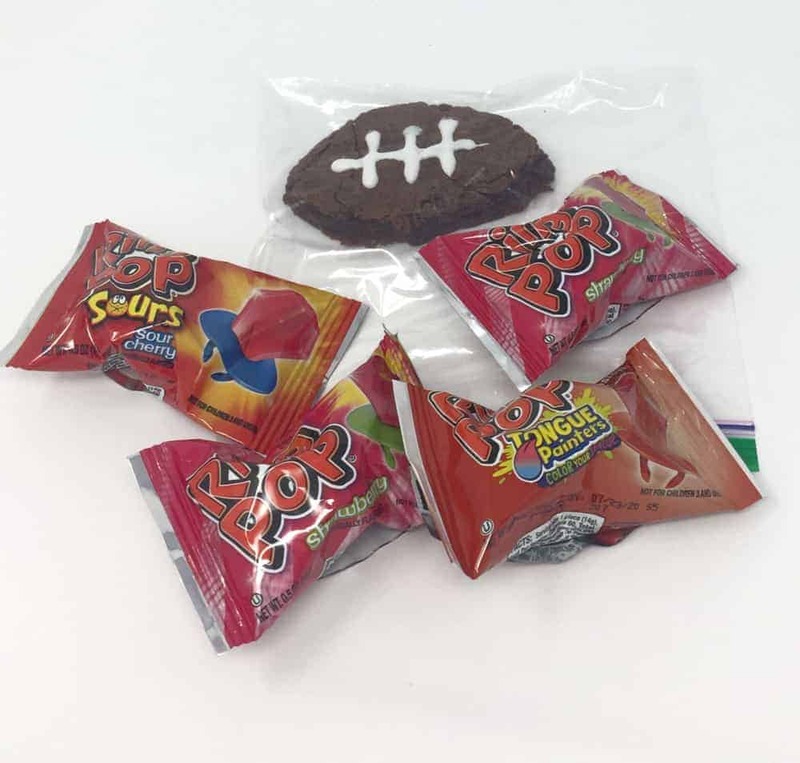 Send them a Care Package using these Super Bowl Care Package Ideas to help start their party or give them something to take to a party. 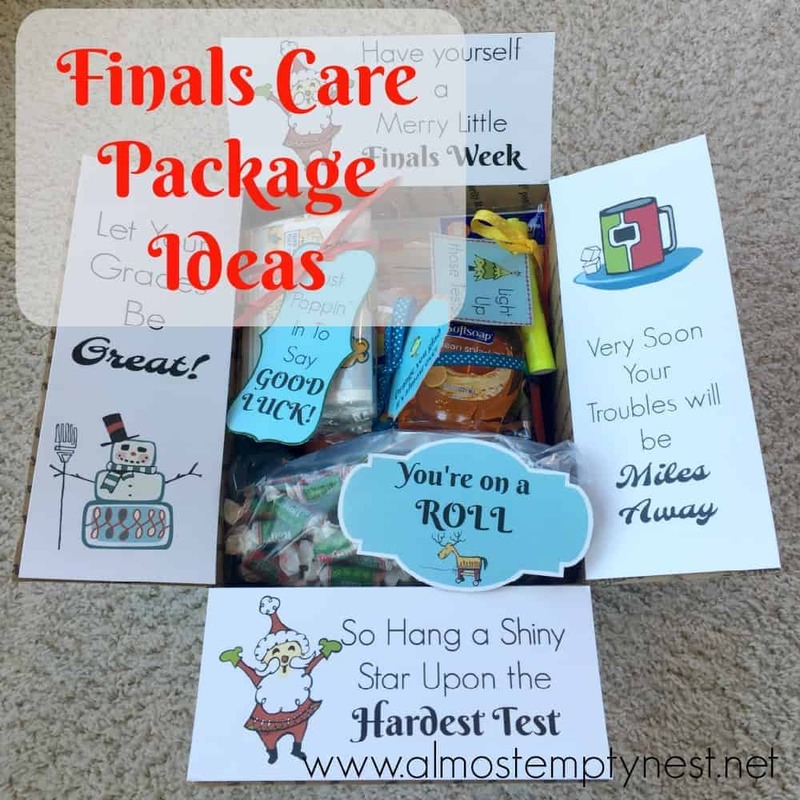 You can sign up for the FREE Super Bowl Care Package Printables above and below this post. I chose these bright yellow napkins because they looked like penalty flags! The green striped straws are adorable and are a nice contract to the yellow napkins. 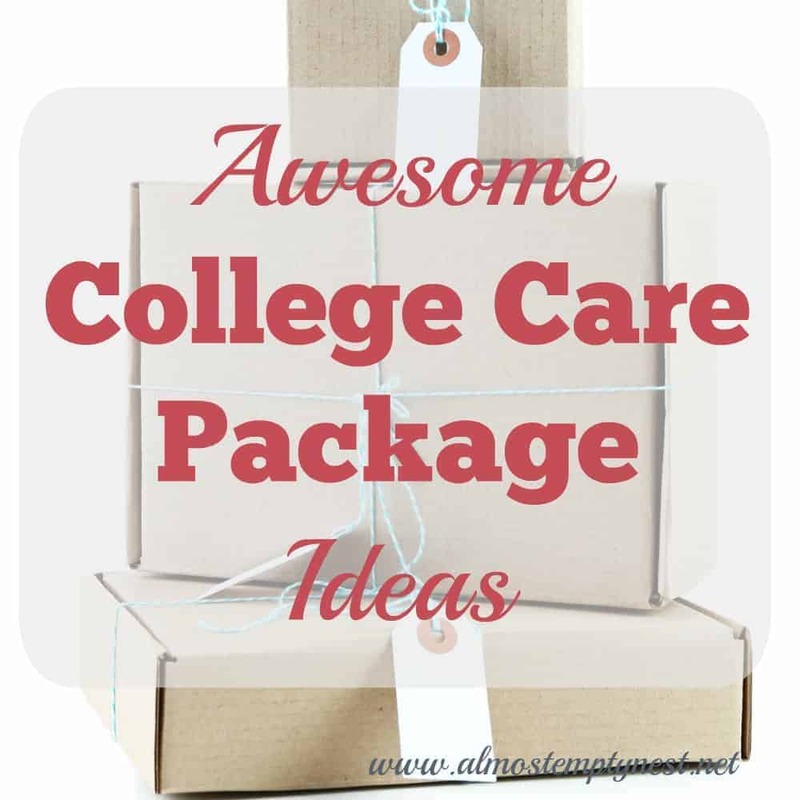 Your sons may not care about these items, but tell them that the girls will love them!! 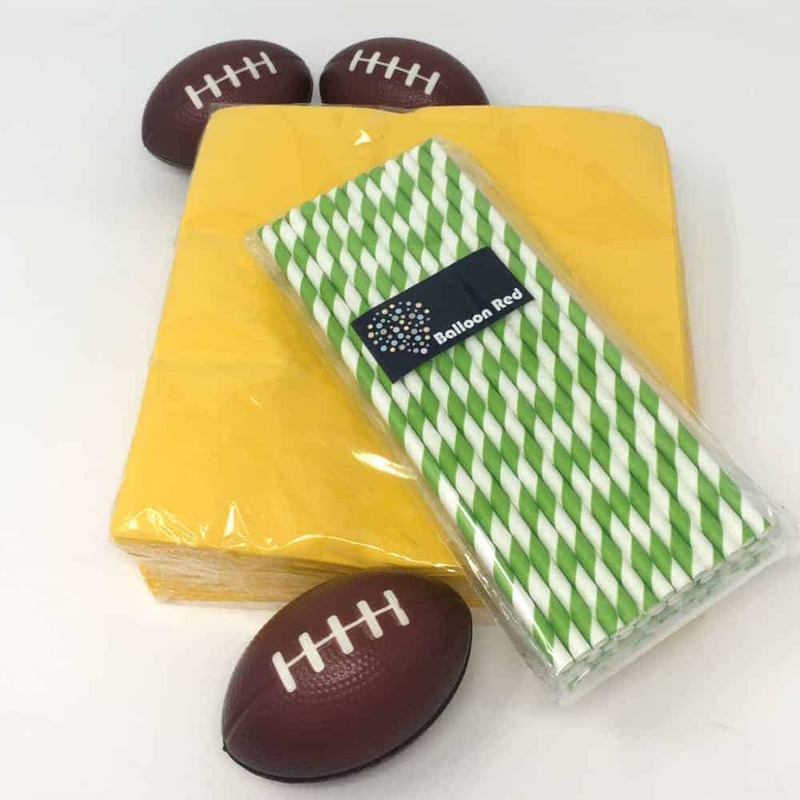 The football stress balls are fun to throw around or to use for decorations. 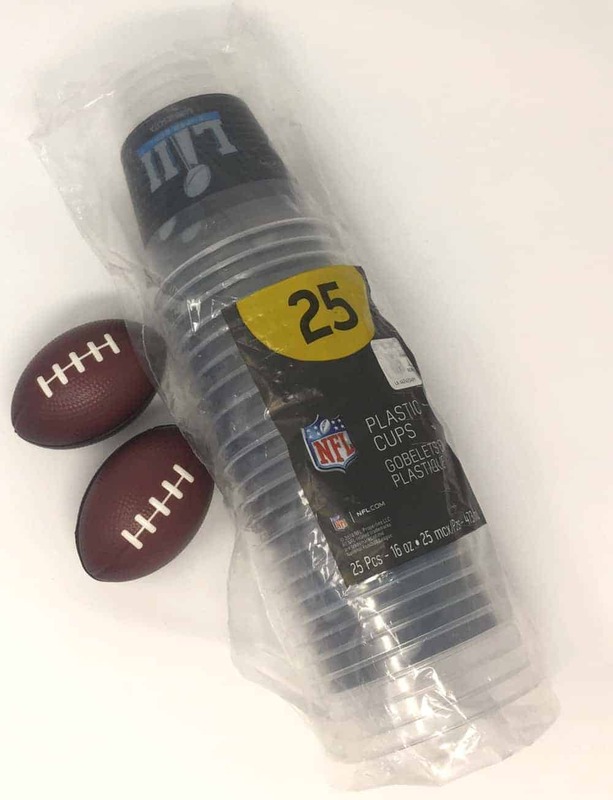 The guys will love official Super Bowl merch like these Super Bowl logo cups. Everyone needs football brownies and Super Bowl Rings! I got industrious and made brownies that I cut out and decorated to look like footballs. If shipping the brownies is not an option send them a brownie mix, cookie icing, and a football cookie cutter. 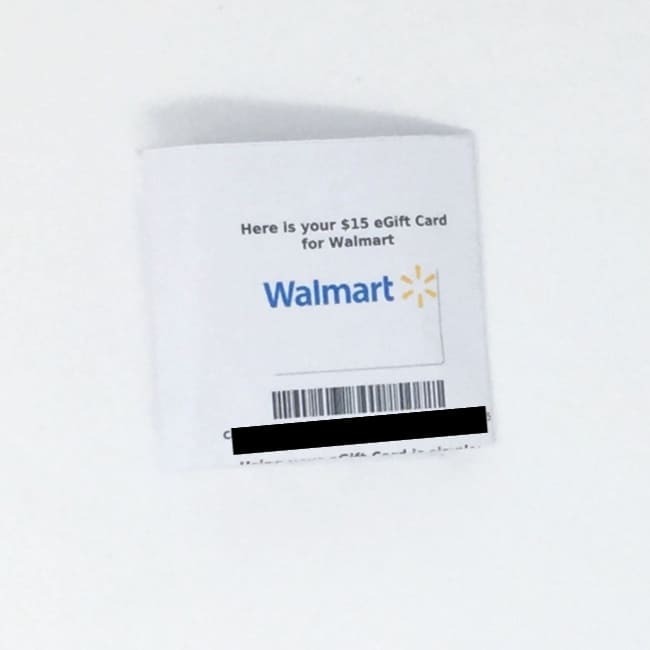 I also enclosed a Walmart gift card that I bought at a DISCOUNT on Raise, so they could go get some more food and party supplies. 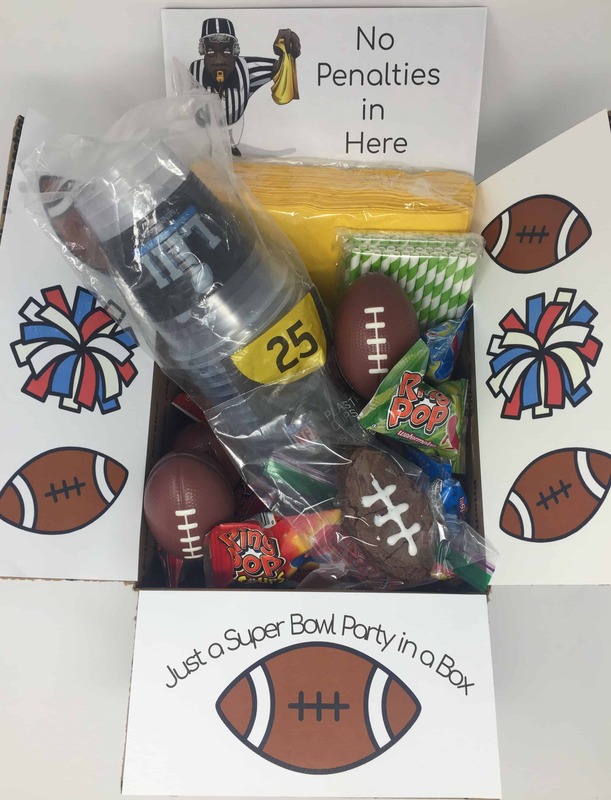 The completed Super Bowl Care Package – a Super Bowl Party in a Box! Cutest Super Bowl Cookies EVER!! 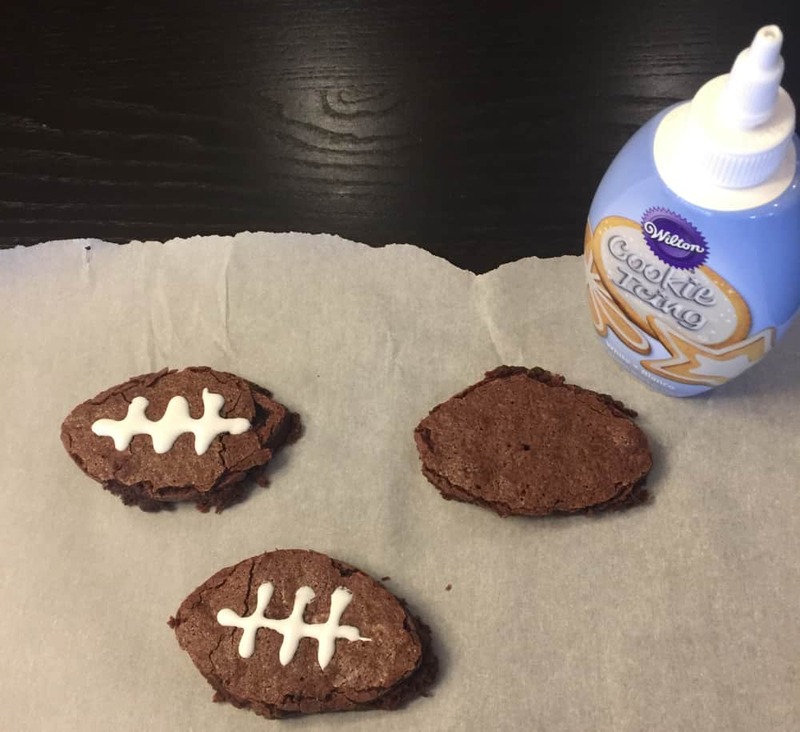 I found some ADORABLE football cookies on a blog called The Monday Box. 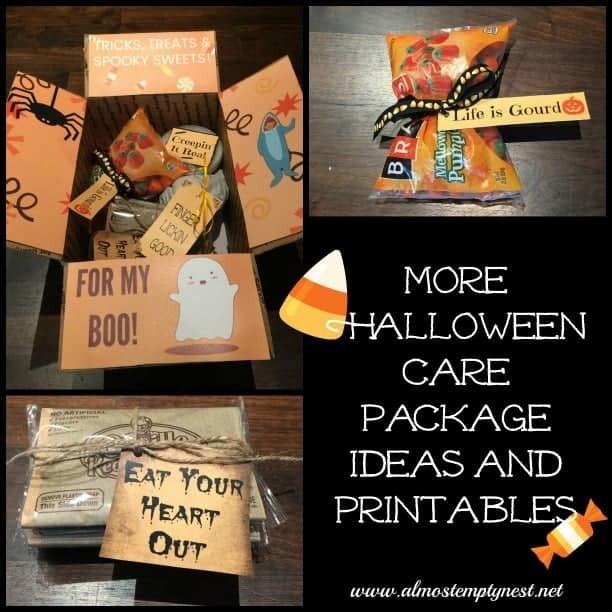 This blog is completely dedicated to recipes that can be mailed in care packages. I recommend Medium Flat Rate boxes from the post office. 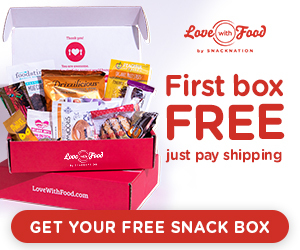 The boxes are free. 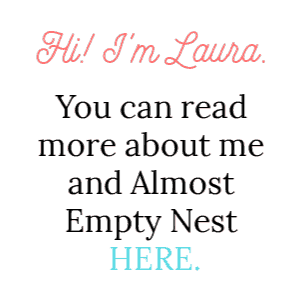 You can pick them up before you make your boxes. They cost $13.60 to mail regardless of the weight. The Printable box decorations fit these boxes.